Polymer matrix composites (PMC), often referred to as fiber reinforced plastics (FRP), consist of fiber reinforcement (E-glass, S2-glass, aramid, carbon, or natural fibers) and polymer matrix/resin (polyester, vinyl ester, polyurethane, phenolic, and epoxies). Eglass/polyester and E-glass/vinyl ester composites are extensively used in the marine, sports, transportation, military, and construction industries. These industries primarily use low-cost open molding processes, such as manual/spray lay-up. Polyester and vinyl ester resin systems produce styrene emissions. Because of the stringent EPA regulations on styrene emissions, composite manufacturers are interested in using low-cost closed molding processes, such as vacuum-assisted resin transfer molding (VARTM) and styrene-free resin systems such as non-foam and full-density polyurethanes (PUR). Polyurethanes are polymers created by addition of polyisocyanates and polyols. The polyol component in polyurethane can be produced from soybean oil. This study demonstrates that with the proper addition of nanoparticles, mechanical properties of soy-based polyurethane can be enhanced. These nanomodified soy-based polyurethane/glass composites manufactured by using the low-cost VARTM process provide alternatives to traditional glass/polyester and glass/vinyl ester composites. These composites will be more environmental friendly for two reasons: (a) Polyurethane does not produce styrene emission, thereby, resulting in a safer work place and (b) Polyol is made from a renewable resource (soybean oil). Composite materials are everywhere in our daily lives. Many products on the market contain composite materials or structures, such as plywood, golf clubs, canoes, and coated knives. Although the term composite is very broad and refers to the combination of two or more materials at the macroscopic level, this article refers to a composite as a fiber-reinforced plastic (FRP) or polymer matrix composite (PMC). Reinforcement typically is fibers and the matrix is a thermoset resin. Polymer matrix is most commonly referred to as resin. In about 90 percent of these composites fiberglass is used for reinforcement, and either polyester or vinyl ester is used as a matrix. 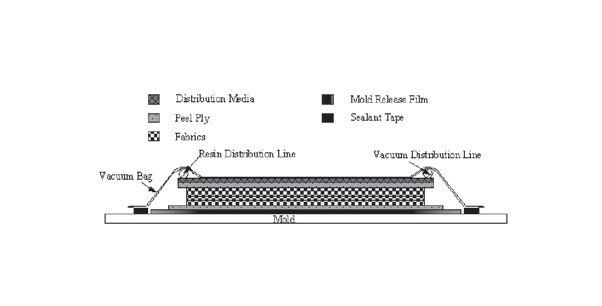 The open molding technique is used for 65 percent of the composites manufactured, whereas the remaining 35 percent of the composites are manufactured through closed molding. In open molding, materials are exposed to the atmosphere during the fabrication, whereas in closed molding, materials are closed in a two-sided mold or in a vacuum bag. Figures 1-4 display popular applications of PMCs. 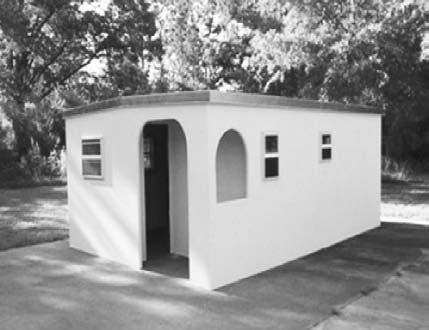 Figure 1 shows a small house built using glass fiber-reinforced phenolic sandwich composites panels. These DURA-SIP™ composite panels are strong, lightweight, fire resistant, UV light resistant, and impervious to water, mold, and insects ( DuraSip, 2009 ). Figure 2 is an illustration of a boat made of glass fiber-reinforced composite ( Solemar, Inc., 2009 ). Figure 3 shows wind turbine blades made of glass reinforced composites ( ENERCON GmbH, 2009 ). 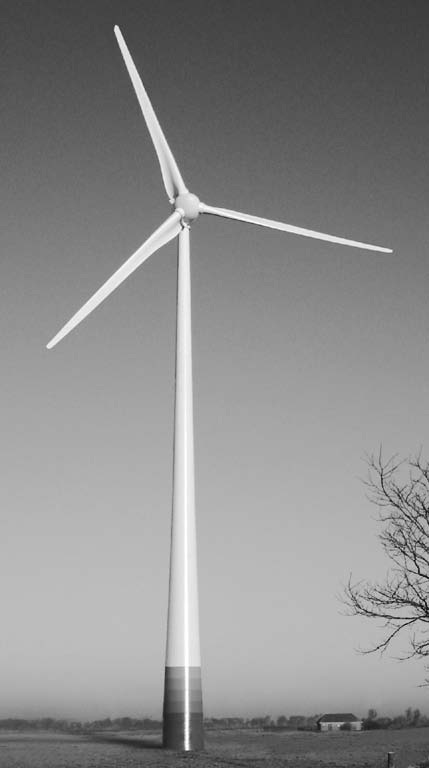 PMCs, especially those that are glass reinforced, dominate the wind turbine blade market because of their superior fatigue resistance characteristics, high specific stiffness, and ability to be made into complex shapes. 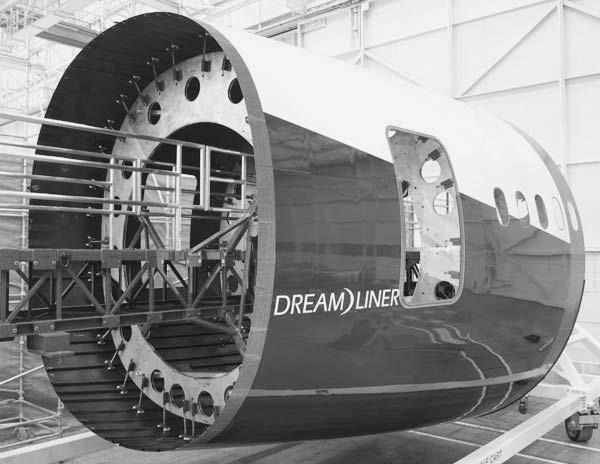 As shown in Figure 4, Boeing uses high performance carbon fiber-reinforced composites for the fuselage section of its new 787 Dreamliner ( Boeing, 2009 ). The method used in this research, vacuum-assisted resin transfer molding (VARTM) is a closed molding process. VARTM uses vacuum pressure to infuse resin into fibers. This method can reduce styrene emissions to the open air. Styrene is a volatile organic compound (VOC), and its emission is restricted by EPA regulations in the composites industry ( U.S. Government Printing Office, 2009 ). Most of the resins used for composites are petroleum based; however, some of them can be replaced by environmentally friendly materials, such as soy-based polyurethane. In general, such natural materials have inferior properties when compared to traditional petroleum-based materials. Polymer nanocomposites consist of polymeric materials and reinforced nanoscale materials (nanoparticle). The nanoparticle has at least one dimension in a nanometer scale. Polymer nanocomposites show major improvements in mechanical properties, gas barrier properties, thermal stability, and fire retardancy ( Koo, 2006 ). Researchers have used different nanoparticles, for example, nanoclays, predispersed nanosilica, nanoalumina, multi-wall carbon nanotubes (MWCNT), carbon nanofibers (CNF), nano SiC particles, and HNT™ (Halloysite Nanotubes), in liquid thermoset resins to enhance mechanical/thermal properties ( Akinyede, Kelkar, Mohan, & Sankar, 2009 ; Chisholm, Jeelani, Mahfuz, Rangari, & Rodgers, 2004 ; Grimmer & Dharan, 2009 ; Karapappaset, Kostopoulos, Tsotra, & Valounliotis, 2009 ; Manjunatha, Kinloch, Sprenger, & Taylor, 2009 ; Xu & Vas, 2008 ; Ye, Chen, Wu, & Ye, 2004 ; Zhou, Pervin, & Jeelani, 2007 ; Njuguna, Alcock, & Pielichowski, 2007 ). Some of these nanoparticles such as MWCNT and CNF are expensive, and their use in large-scale composites production is limited. Nanoclays are inexpensive, but their dispersion in liquid thermoset resins is a challenge. A typical method used for nanoclay dispersion in liquid thermoset is high shear mixing. Implementation of such a method on a large scale is expensive and adds processing cost. These researchers propose to use low-cost halloysite nanotubes (HNT) that are naturally available. It can be dispersed uniformly using simple centrifugal mixing ( Tate, Adenkunle, Patel, & Massingill, 2009 ). Researchers have shown remarkable improvement in mechanical performance by adding HNT to composites, as discussed in the section on HNT. The composites industry is very large, approaching $25 billion per year. America maintains a leading position globally in composites manufacturing and research. Biobased nanocomposites are the future of this industry; therefore, this topic should capture the attention of both professionals and the general public. Polyurethanes (PUR) are thermoset products with the addition of polyisocyanates and polyols. PUR is a tough polymer useful in coatings, structural foams, and composites. Polyols can be fossil oil based or, vegetable oil based. Through this research, we suggest the feasibility of using a soybean oil-based polyol as a component of PUR composites. Polyurethanes have been used extensively mainly because they exhibit excellent abrasion resistance, toughness, low temperature flexibility, chemical and corrosion resistance, and a wide range of mechanical strength. Two-component polyurethane (2K-PUR) systems are especially attractive because they offer flexibility in formulation, which enables customization for demanding end-use requirements. Polyurethane can be used to produce various forms—from flexible to rigid structures—with negligible emission. PUR foam composites have been used primarily for automotive interior and exterior parts, such as pickup truck boxes, load floors, package shelves, and inner door panels. Non-foamed, full-density PUR composite systems are beginning to be used for applications such as window lineal, bathtubs, electric light poles, and large parts for trucks and off-road vehicles ( Sherman, 2006 ). The following are the major advantages of PUR composites. Composites manufactured from PUR resins have superior tensile strength, impact resistance, and abrasion resistance compared with composites based on unsaturated polyester and vinyl ester resins ( Connolly, King, Shidaker, & Duncan, 2005 , 2006 ). Cure times are much faster than for polyester spray-up—about 20 minutes versus 2 to 4 hours in non-automotive applications ( Sherman, 2006 ). They contain no styrene and therefore do not generate large amounts of VOCs. In recent years, there has been interest in developing materials and products based on bio-based resources. The principal drivers for this include environmental, regulatory, and economical factors. A recent study indicates that soy-based polyols have a 25 percent lower total environmental impact compared to petroleum-based polyols; the use of soy polyols will result in reductions in net CO2 contributions to global warming, smog formation, ecological toxicity, and fossil fuel depletion ( Pollock, 2004 ). Soy-based polyol has been mainly used in coatings, adhesives, sealants, and foams. Mannari and Massingill (2006) investigated soy-based polyols used in coating applications. However, few attempts have been made to use it in reinforced composites. Dwan'Isa, Misra, and Drzal (2004) have reported that, bio-based polyurethane from soybean oil-derived polyol and diisocyanate on reinforcement with glass fibers adds significantly to the mechanical properties of the base resin. Thermogravimetric analysis (TGA) shows the improved thermal stability of the bio-based polyurethane with the reinforcement of glass fiber. Husic, Javni, and Petrovic (2005) illustrated that mechanical properties (such as tensile and flexural strength, tensile and flexural modulus of soypolyol-based composites) were comparable to composites based on a petrochemical polyol. They futher indicated that because soy-based polyurethanes offer better thermal, oxidative, and hydrolytic stability compared to petrochemical-based polyurethanes, they could become a viable alternative to the petrochemical urethane matrix resins for composites. In this research, soybean oil-based polyol was supplied by Arkema, Inc. under trade name Vikol®-1. The aliphatic polyisocynate component was petroleum based, and it was supplied by Bayer Material Science, Inc. under the trade name Desmodur® Z4470BA. The addition of soy-based polyol and polyisocynate in proper proportion will result in thermoset soy-based polyurethane resin. The introduction of inorganic nanoparticles as additives into polymer systems results in polymer nanocomposites (PNC). When such a nanomodified polymer is used to make a reinforced composite, it is called “reinforced polymer nanocomposite.” In this research, soy-based polyurethane was modified using Halloysite nanotubes (HNT). HNT are naturally formed in the Earth over millions of years by the surface weathering of aluminosilicate materials and are composed of aluminum, silicon, hydrogen, and oxygen. Halloysite nanotubes are ultra-tiny hollow tubes (diameters typically are smaller than 100 nm (10-7 m) and lengths typically range from about 0.5 to 1.2 microns). The functional characteristics desired for specific applications can be controlled through the selection of the diameter and the length of the HNT. These diameters typically range from about 40 nm to 200nm, and they come in a variety of lengths, allowing for a wide range of applications. Halloysite nanotubes can be coated with metallic and other substances to achieve a wide variety of electrical, chemical, and physical properties ( NaturalNano, Inc, 2009 ). HNT technology is abundant and inexpensive; its polar surface can be readily modified. It is a potential alternative to expensive carbon nanotubes for nanocomposites, when mechanical properties are concerned ( Ye et al., 2007 ). Researchers and engineers have investigated Halloysite as an excellent polymer modifier because of the properties associated with it. Halloysite is a useful constituent of many polymeric composites for the purpose of mechanical and thermal improvement, including those where the polymer is a coating like polyurethane, a film, a molded part, fiber, foam, or even in a copolymer ( Li, Liu, Ou, Guo, & Yang, 2008 ). Monomer is a simple compound that can be joined to form long chain-like structures called polymers. Copolymers are polymers that consist of two or more monomers. Ye et al. (2007) found that the morphology of the HNT was geometrically similar to multi-walled carbon nanotubes. These researchers blended epoxy with HNT in different loadings of 0.8, 1.6, and 2.3 wt percent. The results demonstrated that blending epoxy with 2.3 wt percent HNT increased the impact strength by four times without scarifying flexural modulus, strength, and thermal stability. In the last 3-4 years, researchers have reported improvement in mechanical and thermal properties for thermoplastics nanocomposites and elastomeric nanocomposites using HNT ( Li et al., 2008 ; Ye et al., 2007 ). However, there are very few attempts made to use HNT in reinforced composites. In this research, soy-based polyurethane is modified using HNT with different loadings. Full-density polyurethane was modified using HNT nanoparticles. This nanomodified polyurethane was used to manufacture E-glass reinforced composites using the low-cost vacuum assisted resin transfer molding (VARTM) process. The composites were mechanically characterized in compression, flexure, and inter-laminar shear loading. Table 1 displays the material system for glass-reinforced composites. E- glass woven roving fabrics (Rovcloth® 1854) was supplied by Fiberglas Industries, Inc. Soy-based polyol (Vikol®-1) was manufactured and supplied by Arkema, Inc. Aliphatic polyisocynate (Desmodur® Z4470BA) was supplied by Bayer, Inc. Aliphatic polyisocynate has better resistance to ultraviolet (UV) radiation. HNT were supplied by NaturalNano, Inc. Soy-based polyol and polyisocynates were mixed in a 1:1 equivalent ratio to produce non-foam and full- density thermoset polyurethane resin. Dibutyltin dilaurate (DBTL) was used as a catalyst. . Three different loadings of HNT 0.8, 1.6, and 2.4 wt percent were used in making composite panels. Uniform dispersion of nanoparticles in liquid polymer is essential for improvement in mechanical/thermal properties. Planetary centrifugal mixers (THINKY® Model ARE-250) had successfully been used by Air Force Research Lab (AFRL) researchers to effectively disperse carbon nanofibers without damage in the liquid polymers for EMI applications ( Air Force Reseach Laboratory, 2007 ). These mixers also can be used to de-gas due to fast centrifugal motion. In this research, the THINKY® Model ARV-310 was used for dispersion and degassing. HNT were dispersed in soy-based polyol using the THINKY mixer for three minutes at 2000 rpm without vacuum. To this nanomodified polyol was added aliphatic polyisocynate in a 1:1 equivalent ratio. This mixture was run through the THINKY mixer maintaining 28.5” vacuum for one minute at 2000 rpm for degassing. There is always suspicion about the health hazards while handling dry nanoparticles. Nanoparticles can be easily absorbed into the body either through the skin or by inhaling them because of their small size. Special care must be taken when handling and storing dry nanoparticles. According to protocol, dry nanoparticles are not handled in open air. Containers are stored and opened only in a glove box and pre-mixed with liquid resin and then transported for further processing. When nanoparticles are mixed in liquid resin they impose less harm. The VARTM process is an attractive and affordable method of fabricating composite products. It can produce high-quality complex and large-scale components. As shown in Figure 5, a complex structural aerospace part was produced using the VARTM process by V System Composites ( V System Composites, 2009 ). 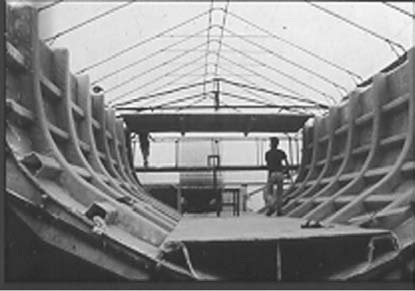 Figure 6 shows a huge and complex boat hull being manufactured using VARTM ( Advanced Projects Group, 2009 ). The major requirement of a resin system for VARTM is that the viscosity should be in the range of 100 to 1000 cP in order for the resin to flow throughout the fabric. Viscosity plays a major role in the VARTM process. During the VARTM manufacturing process, dry fabric is placed into a tool and vacuum bagged in conjunction with the resin distribution line, the vacuum distribution line, and the distribution media. A low viscosity resin is drawn into the fabric through the aid of a vacuum. Resin distribution media ensures resin infiltration in the thickness direction of composite panels. The key to successful resin infiltration of the fabric is the design and placement of the resin distribution media which allows complete wet-out of the fabric and eliminates voids and dry spots. Properly designed and properly placed resin distribution media eliminate “race tracking” and resin leakage around the fabric ( Seemann, 1990 , 1994 ). Figure 7 illustrates how different bagging materials are laid in the VARTM process ( Tate, 2004 ). Figure 8 explains the step-by-step process of laying different bagging materials. The soy-based polyol had a room temperature viscosity of 780cP. There was no considerable increase in viscosity with 0.8 wt percent loading of HNT. Viscosity increased to 1080 cP with 2.4 wt percent of HNT loading. The composites panels of 300mm _ 200mm size with 8 layers of E-glass woven roving were produced using VARTM at room temperature. The panels were kept in a mold for 24 hours (green cure), followed by post cure at room temperature for seven days and then another cure at 120 ºC for three hours. 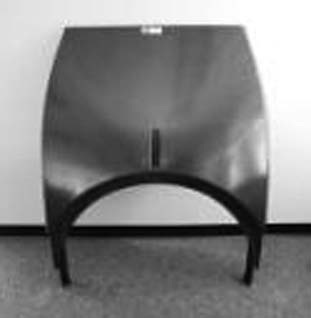 The overall fiber percentage of VARTM manufactured composites was found to be 53 percent. Water-jet cutting of the composite was used to ensure minimal damage at the edges of the panels. Earlier research indicates that mechanical properties of soy-based polyurethane/E-glass composites are quite comparable to traditional polyester/E-glass and vinyl ester/E-glass composites ( Tate, Massingill, Patel, Rikka, & Arabie, 2007 ; Tate, Massingill, Patel, & Konga, 2008 ). Table 2 summarizes the results. Inter-laminar shear strength (ILSS) and compressive strength are matrix dominant properties. Flexural properties are also affected by matrix material. The major interest of this study was to evaluate the effect of nanomodifications of matrix on matrix-dominant properties of composites. Therefore, ILSS, compressive strength, flexural strength, and flexural modulus of nanomodified composites were evaluated. Five specimens in each category were tested. Compression tests were performed according to ASTM D 6641/D 6641M titled “Standard Test Method for Determining the Compressive Properties of Polymer Matrix Composite Laminates Using a Combined Loading Compression (CLC) Test Fixture” to evaluate compressive strength. Flexure tests were performed according to ASTM D 790-92 entitled “Standard Test Methods for Flexural Properties of Unreinforced and Reinforced Plastics and Electrical Insulating Materials” to evaluate flexural strength and modulus. Short-Beam tests were performed according to ASTM D 2344/D 2344M entitled “Standard Test Method for Short-Beam strength of Polymer Matrix Composite Materials and their Laminates” to evaluate inter-laminar shear strength (ILSS). Table 3 displays average mechanical properties of HNT-modified PU/E-glass composites. For 0.8 wt percent loaded HNT modified composites, flexural strength and modulus were increased by 6 percent and 28 percent, respectively. ILSS, a measure of fiber/matrix adhesion, improved by 82 percent with this loading. UCS decreased with increases in wt percent loading of HNT. UCS decreased by 8 percent for 0.8 wt percent loading. Overall, 0.8 wt percent loading of HNT showed considerable improvement in overall performance of composites. The addition of HNT™ in soy-based polyurethane/E-glass composites improves mechanical performance considerably. Three different loadings were studied for HNT, 0.8, 1.6, and 2.4 wt percent. Viscosity of polyurethane was observed at 780 cP for 0.8wt percent HNT, which increased to 1080 cP for 2.4wt percent HNT loading. The VARTM process was used successfully with this low-viscosity resin at room temperature. Low viscosity of nanomodified polyurethane makes it a perfect choice for the low-cost VARTM process. The vacuum planetary centrifugal mixer is an efficient, economical, and a fast method of uniformly dispersing HNT in polyol. For 0.8 wt percent loaded HNT modified composites, flexural strength, flexural modulus, and ILSS were increased by 6 percent, 28 percent, and 82 percent, respectively. ILSS is a measure of fiber/matrix adhesion. This research suggested that fiber/matrix adhesion can be improved by modifying polyurethane with HNT, which in turn improves the mechanical properties. Thus, nanomodified soy-based polyurethane/glass composites manufactured using the VARTM process provide alternatives to traditional glass/polyester and glass/vinyl ester composites. These composites will be more environmental friendly for two reasons: (a) polyurethane doesn’t produce styrene emission thus making workplace safe and (b) the polyol component is made from soybean oil, which is a renewable resource. Dr. Jitendra S. Tate is an Assistant Professor in the Ingram School of Engineering at Texas State University, San Marcos. Air Force Reseach Laboratory. (2007, Winter). Air Force scientists identifying method for electromagnetic interference shielding materials. Materials Technology Highlights, Winter 2007,1-4. Chisholm, N., Mahfuz, H., Rangari, V., Rodgers, R., & Jeelani, H. (2004). Synthesis & mechanical characterization of carbon/epoxy composites reinforced with SiC nano particles. NSTI-Nanotech, 3: 302-307. Connolly, M., King, J., Shidaker, T., & Duncan, A. (2005). Pultruding polyurethane composite profiles: Practical guidelines for injection box design, component metering equipment and processing. Composites 2005 Convention and Trade Show (pp. 1-9). Columbus: ACMA. Dwan'Isa, J.-P., Mohanty, A. K., Misra, M., & Drzal, L. (2004). Biobased polyurethane and its composite with glass fiber. Journal of Material Science (39), 2081-2087. Grimmer, C. S., & Dharan, C. K. (2009). High-cycle fatigue life extension of glass fiber/ polymercomposites with carbon nanotubes. Journal of Wuhan University of Technology-Mater, 167-173. Husic, S., Javni, I., & Petrovich, Z. S. (2005). Thermal and mechanical properties of glass reinforced soy-based polyurethane composites. Composites Science and Technology, 65 (1), 19-25. Koo, J. (2006). Polymer Nanocomposites. In J. Koo (Ed. ), Polymer nanocomposites (p. 9). New York: McGraw Hill. Li, C., Liu, J., Ou, X., Guo, B., & and Yang, Z. (2008). Polymer-modified halloysite composite nanotubes. Journal of Applied Polymer Science, 110 (6), 3638-3646. Manjunatha, C. M., Taylor, A. C., Kinloch, A. J., & Sprenger, S. (2009). The cyclic-fatigue behaviour of an epoxy polymer modified with micron-rubber and nano-silica. Journal of Material Science, 44: 4487–4490. Mannari, V. M., & Massingill, J. L. (2006). Two-component high-solid polyurethane coating systems based on soypolyols. Journal of Coating Technology and Research, 3 (2), 151-157. Njuguna, J., Pielichowski, K., & Alcock, R. (2007). Epoxy-based fibre reinforced nanocomposites. Journal of Advanced Engineering Materials, 9 (10). Seemann, W. H. (1990, 1994). Patent No. 4,902,215. U.S.
Seemann, W. H. (1994). Patent No. 5,316,462. U.S.
Shivakumar, K. N. (2006). Carbon/vinyl ester Composites for enhanced performance in marine applications. Journal of Reinforced Plastics and Composites, 25 (10), 1101-1116. Tate, J. S. (2004). Performance evaluation and modeling of braided composites. Greensboro, NC, USA 27411: PhD Dissertation, NC A & T State University,. Tate, J. S., Adenkunle, T., Patel, P., & Massingill, J. (2009). Nano-modified soy-based polyurethane/eglass composites: Mechanical and Thermal Properties. SAMPE 09 (p. B106). Baltimore: SAMPE. Tate, J. S., Massingill, J., Patel, P., & Konga, S. (2008). Enhancement in mechanical properties by improving fiber/matrix adhesion in bio-based polyurethane/e-glass composites. SAMPE. Long Beach, CA: SAMPE. Tate, J. S., Massingill, J., Patel, P., Rikka, P., & Arabie, S. (2007). Mechanical characterization of biobased polyurethane/e-glass composites. SAMPE. Cincinnati: SAMPE. Xu, Y., & Vas, H. S. (2008). Mechanical properties of carbon fiber reinforced epoxy/clay nanocomposites. Journal of Composites Science and Technology, 68: 854-861. Ye, Y., Chen, H., Wu, J., & Ye, L. (2007). High impact strength epoxy nanocomposites with natural nanotubes. Polymer, 48 (21), 6426-6433. Zhou, Y., Pervin, F., & Jeelani, S. (2007). Effect vapor grown carbon nanofiber on thermal and mechanical properties of epoxy. Journal of Material Science, 42: 7544-7553.